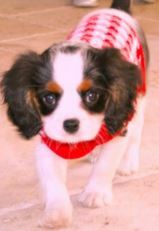 Cavalier Breeders in Florida » Available Cavalier King Charles Spaniel Puppies For Sale » Beautiful New Litter Has Arrived! Beautiful New Litter Has Arrived! Mom with her gorgeous babies. 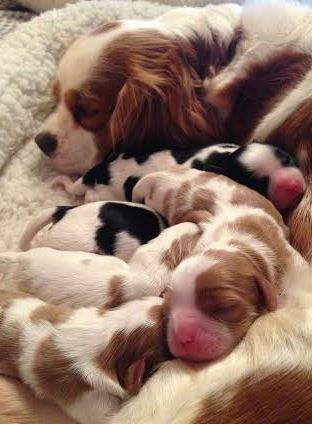 We have gorgeous Blenheim pups available from this delightful litter. Now taking applications and deposits! We have both male and female Cavalier puppies available. We have exquisite Blenheims with absolutely gorgeous markings. 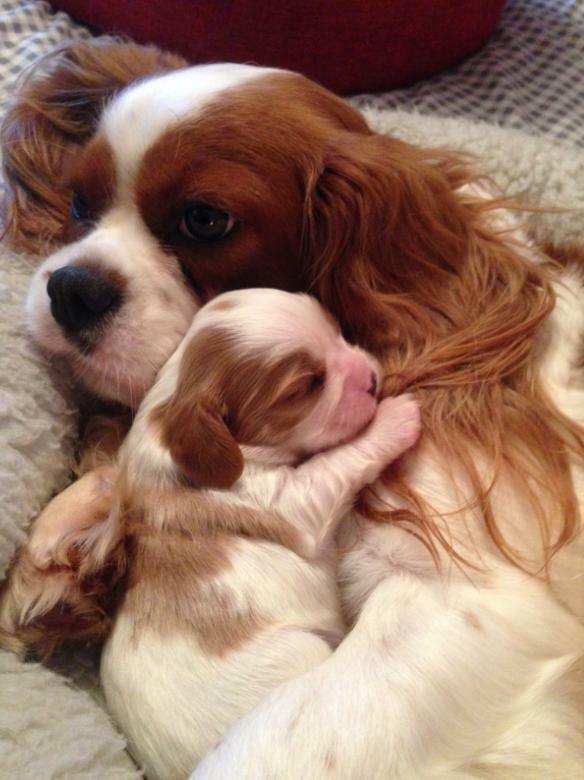 If you are interested in adding a delightful and healthy Cavalier King Charles Spaniel puppy to your family, please fill out the application form below or contact us by email or phone with any questions. Early reservations are highly recommended and deposits are now being accepted.